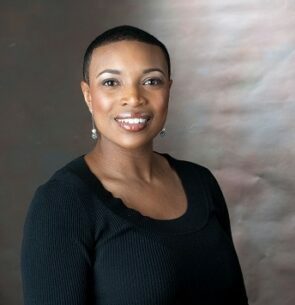 Shavon Arline-Bradley is the Founding Principal of R.E.A.C.H. Beyond Solutions LLC a public health, policy/advocacy, faith and executive leadership firm. She is also a Co-Founder of The Health Equity Cypher Group, a collaborative of nationally recognized health equity experts designed to expand the work of health, equity and diversity & inclusion in all sectors. She recently transitioned from the Office of the United States Surgeon General as the Director of External Engagement and senior advisor, where she managed all congressional, corporate, non-profit and advocacy organizational relationships. Prior to her tenure in the Office of the US Surgeon General, Mrs. Arline Bradley served as the Executive Vice President of Strategic Planning & Partnerships for the national NAACP. During the interim transition for the search of a new president & CEO in 2014, Shavon served as the Chief of Staff & Chief Programs Officer where she was responsible for overall staff strategic planning, board/staff relations, operations and issue area advocacy agenda. She was formerly the senior director of health programs for the NAACP where she was responsible for coordinating and planning the Association’s health agenda and program implementation efforts and served the association for 6 years. She has over 17 years of experience in the areas of policy, advocacy, board relations, social justice and community & stakeholder collaborative relationship building. The New Jersey native is a public health & social justice advocate and former track & field athlete who earned her Bachelor of Science degree in Exercise Science and Master of Public Health degree from Tulane University in New Orleans, Louisiana. Mrs. Arline-Bradley graduated in May 2016 from the Samuel Dewitt Proctor School of Theology at Virginia Union University with a Master of Divinity. Most recently she successfully completed the Scott Hawkins Leadership Institute of the Links Incorporated as an executive fellow for 2 years with extensive training in board & executive leadership development, organizational management, group dynamics, conflict resolution and strategic planning. As a sought after motivational speaker/preacher, facilitator, trainer and strategic planner, Mrs. Arline-Bradley has a traveled extensively throughout the United States and Caribbean. She has facilitated trainings on public health programming, diversity & inclusion, executive leadership development, organizational planning, board/staff relations, equity, policy/advocacy, social justice and religious affairs for organizations including but not limited to the NAACP, WalMart (regional VA office), Robert Wood Johnson Foundation, Mecklenburg County and Virginia State Department of Health, Delta Sigma Theta, Active Living Research, N.O.B.E.L. Women, Samuel DeWitt Proctor Conference (religious), the Society for Behavioral Health Medicine and YMCA of the USA. Shavon was initiated into the Nu Mu Citywide Chapter of Delta Sigma Theta at Tulane Univ in New Orleans, LA in December, 1997 and is now the co-chair of the National Social Action Commission serving on the national executive board. Shavon is a member of the Columbia MD chapter of the Links and Jack & Jill of America. Mrs. Arline-Bradley is a co-author of “The Queen’s Legacy”, a journey of the trials and triumph of phenomenal women. Shavon was ordained in May 2018 as a Baptist preacher and serves as an associate minister of the Alfred Street Baptist Church. Shavon sits on the advisory board of the Samuel DeWitt Proctor School of Theology as the youngest member. She is married to Andrew Bradley and mother of 4 year old Micah and 18 year old daughter Amira.